I had to take off my first attempt this evening. LOL. 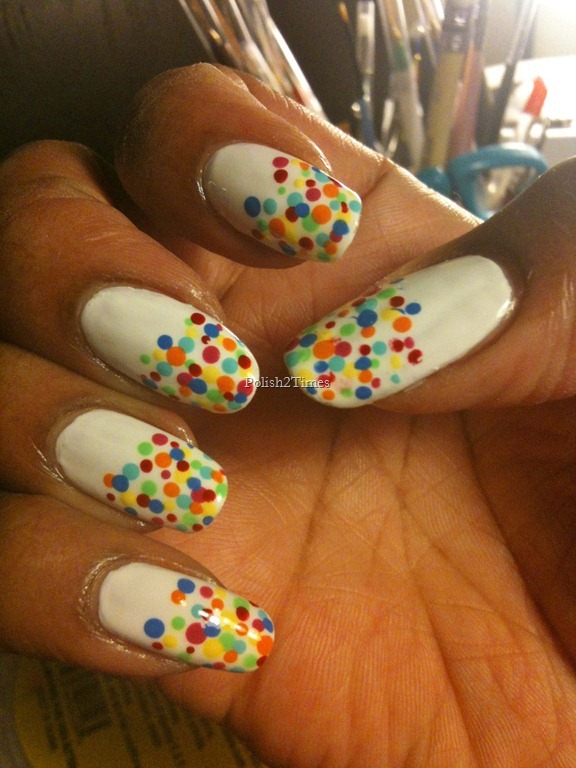 And since I didn’t have a clue what to do with my nails after my failed efforts….. 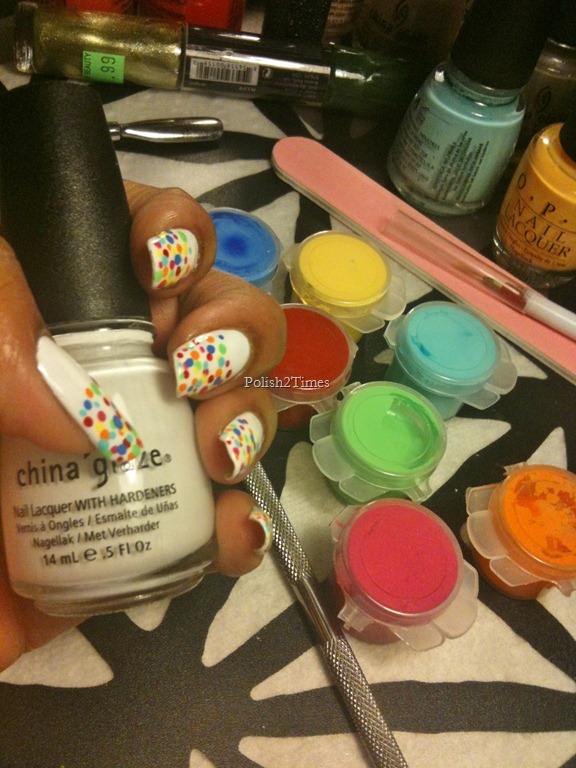 I copied Duana’s white polish. I was trying not to be a complete copycat….. and then Chi Chi & Duana called me a showoff…..BUT I WASN’T!!!!!! I promise! MANNNNNNNNNNN. Cannot win. Maybe next time. 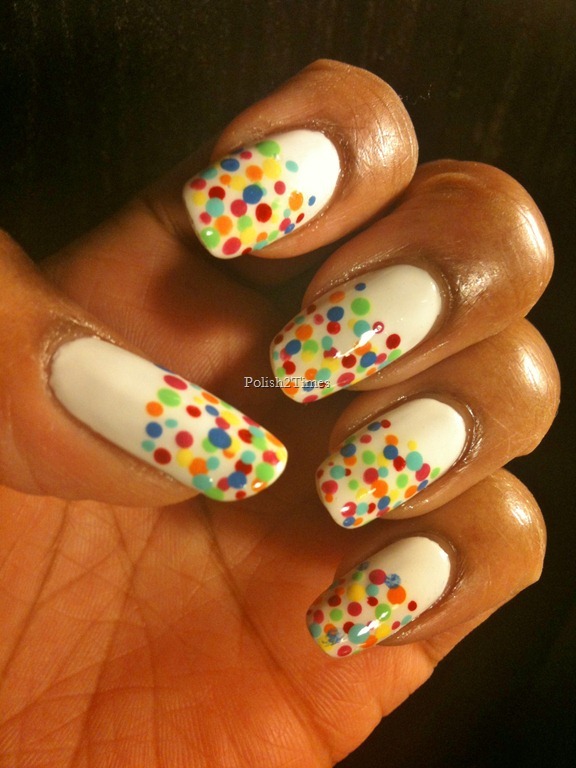 Oh my beloved dots… how I’ve missed you so. This manicure made me so very happy. It was worth the name-calling. lmao. 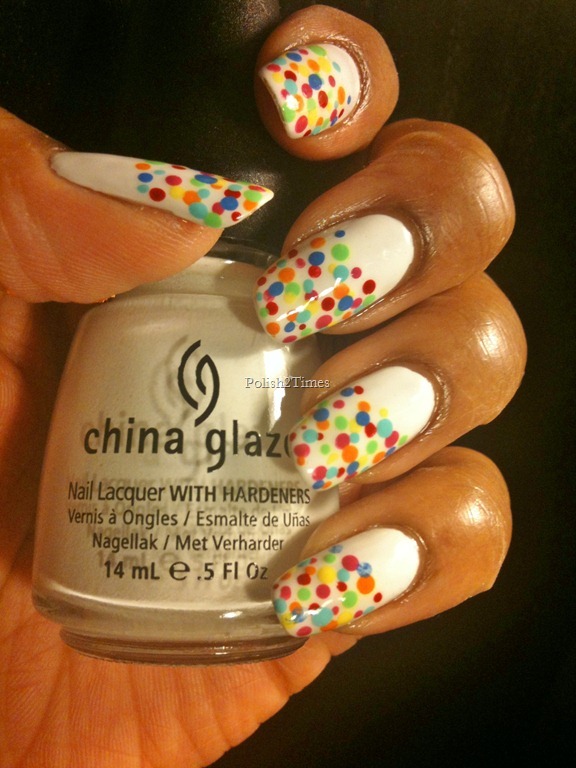 This entry was posted in China Glaze, Nail Art, nail polish and tagged dots, white on white. Lol!!! It makes mine look so plain in comparison!! I love this! LOL, nah, yours was great! Very pretty….and purposeful… mine was just a lot of fun… and a copy. Love, love, love this one!!!! 🙂 it is making me so happy! and the best part was it was sooooo easy to do!! !